Growing up with various fantasy universes in books, video games, and other media, I frequently came across names of magical beings that weren’t always consistently defined. I’ve already discussed many of these, but as of yet I haven’t said a whole lot about imps. The word apparently comes from Germanic folklore, and might be etymologically related to the Old English ympe for a graft of a plant. Terry Pratchett’s Soul Music features a magician named Imp y Celyn from Llamedos, the Discworld equivalent of Wales. When his bandmates say his first name is too close to “elf,” he says that it means “bud of holly,” and starts going by Buddy instead. In other words, he’s basically the Disc’s version of Buddy Holly, with some other early rock musicians thrown in. 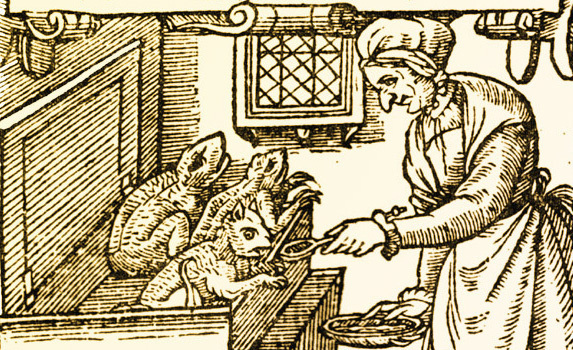 Imps in folklore tend to be mischievous but not always strictly evil, hence the more modern term “impish.” The word was also used for the familiar spirits of witches and wizards. Imps in fantasy tend to be small and keen on playing pranks. In the earlier English translations of the Final Fantasy games, the weak monsters originally called goblins became imps. In 8-Bit Theater, Garland has a perpetual fear of forest imps, until a psychiatrist convinces him they don’t exist. 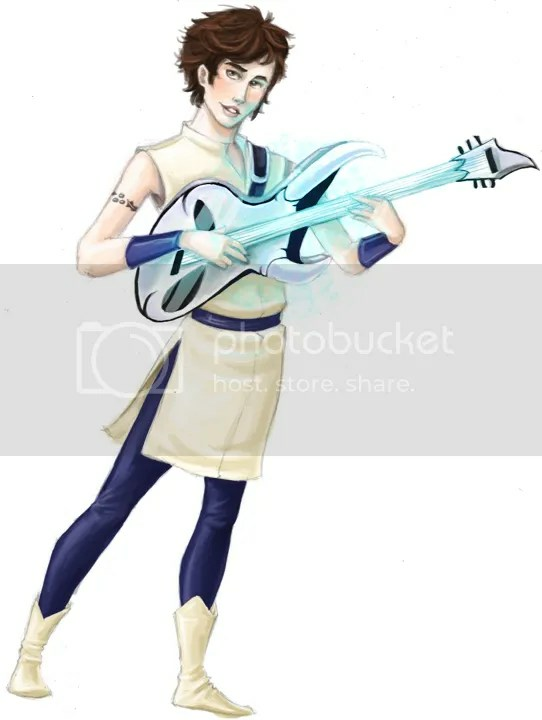 This was an element I thought would be addressed later on, but like Princess Sara learning how to exploit the Light Warriors, it was largely forgotten. 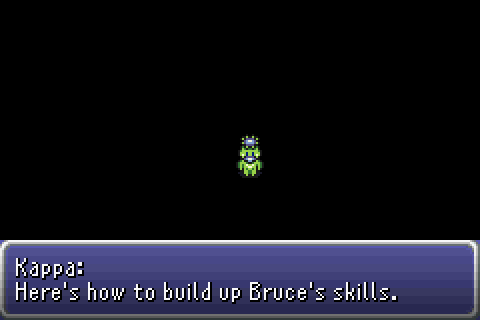 Imps don’t appear as enemies in Final Fantasy VI, but it is possible for characters to be transformed into imps. In the Japanese, these creatures were known as kappa, and at one point in the original English translation an imp who explains Gau’s Rage technique is identified as a kappa, leading English-speaking players to wonder if Kappa was the name of a particular imp. Most likely, it was really just a case of the translator forgetting to change “kappa” to “imp” in this one case. There are also robotic kappa/imps for sale at the auction house in Jidoor, although you can never buy them because a rich guy always bids more than the total amount of money you can possibly get when his son begs him. 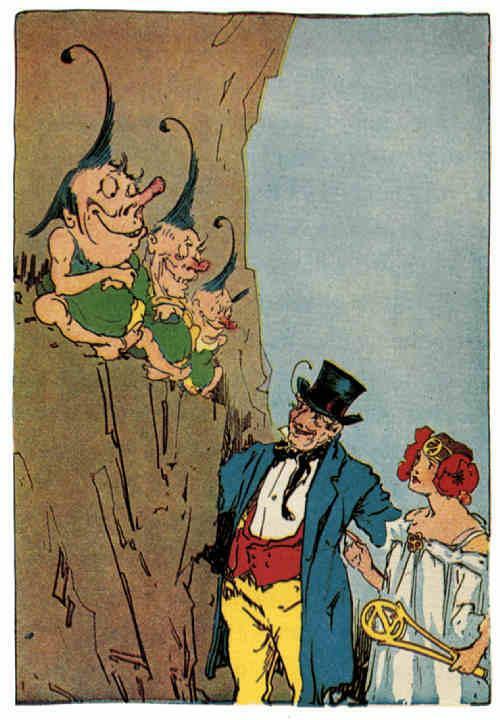 L. Frank Baum uses the term “imp” for magical beings on several occasions. 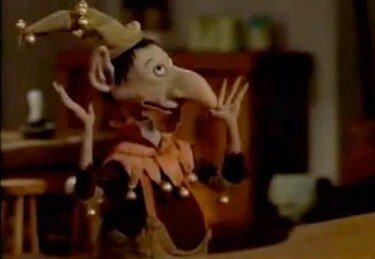 The Life and Adventures of Santa Claus mentions Sound Imps that carry sounds around the world, although he calls them Sound Elves in The Enchanted Island of Yew. 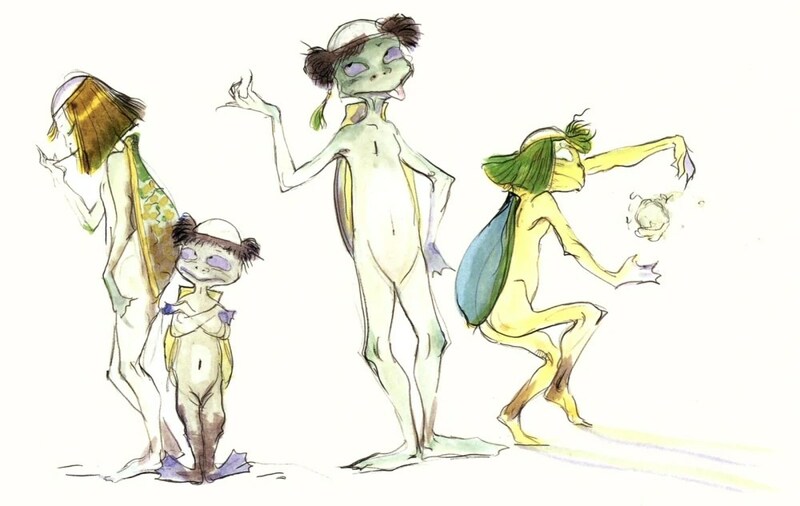 Queen Zixi’s familiars are referred to as “those invisible imps that serve the most skilful witches.” Most notable, however, are the three imps in “Ozma and the Little Wizard of Oz,” one of the Little Wizard Stories. Here, the two title characters visit a place in the mountains that is being terrorized by Imp Olite, Imp Udent, and Imp Ertinent. They’re described as small, with “big round ears, flat noses and wide grinning mouths, and their jet-black hair came to points on the top of their heads, much resembling horns.” John R. Neill, who doesn’t always follow the text that closely, gave them small ears and long noses. The Wizard transforms them into bushes, pigs, and doves; but finds they can still cause mischief in these forms. Finally, he turns them into buttons of tin, brass, and lead, claiming that they will turn to silver, gold, and aluminum if they repent. I’m not quite sure how a button can repent, but the Wizard assures Ozma that the Imps’ spirits are still in the buttons. This plot idea is picked up again by Chris Dulabone in The Three Imps of Oz, which reveals that the three are subjects of the Ruby Imp from Frank Joslyn Baum’s Laughing Dragon. This Imp King is much like the Nome King in transforming people into ornaments, only he uses a magic cap lined with rubies instead of a Magic Belt. The Glow-Man takes his hat in order to restore the Imp’s victims, but then leaves it right outside the cavern where the king can presumably get it back. In Three Imps, the king charges the three with finding a magic ruby, and it’s while on this search that they stop to torment people in the mountains and are caught by the Wizard. Years later, he finds that the buttons have changed and restores the Imps to their natural forms, employing Ertinent as his apprentice, Udent as a chef under Smith Wessonoyl in Kushiville, and Olite as an assistant to the gardener Gordon in Arfrica (a character introduced in Dulabone’s Toto in Oz). They eventually do find a magic ruby, which the king declares to be the wrong one, but the Wizard can use it to accelerate the growth of plants. Kimberly Frodelius draws the Imps with round bodies and large round eyes, as Milt Youngren did in Laughing Dragon. Dulabone also continues the punning tradition for the names of his Imps: the father of the three main characters is Imp Ossible; and others are Enetrable, Roper, Erialism, and Ortance. And while I’m mentioning Imps in post-Baum Oz books, Eric Shanower’s Ice King has Ice Imps serving the titular character. This entry was posted in Authors, British, Characters, Chris Dulabone, Comics, Discworld, Eric Shanower, Etymology, Fairy Tales, Final Fantasy, German, Japanese, John R. Neill, L. Frank Baum, Monsters, Mythology, Oz, Oz Authors, Terry Pratchett, Video Games and tagged 8-bit theater, buddy holly, final fantasy vi, frank joslyn baum, garland, gau, goblins, ice imps, imp y celyn, imps, kappa, kimberly frodelius, little wizard stories of oz, milt youngren, ozma, ozma and the little wizard of oz, queen zixi of ix, ruby imp, soul music, sound imps, the enchanted island of yew, the ice king of oz, the laughing dragon of oz, the life and adventures of santa claus, the three imps of oz, toto in oz, witches, wizard of oz. Bookmark the permalink.